I think I am going to delve into men’s style for once. At least my boyfriend (probably the only man who reads this that is not gay) will get a break from the girly daydreams and dress ideas. 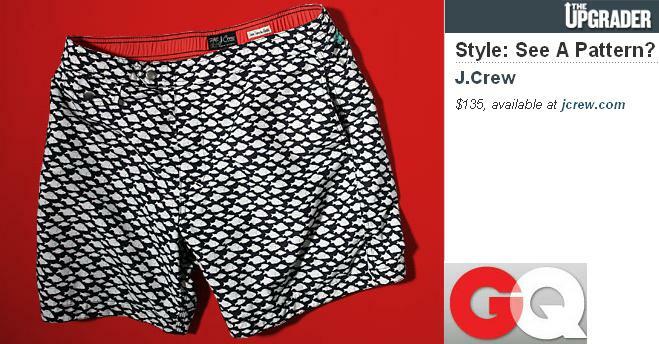 JCrew aficionado found this on Men’s Style. I think these are pretty cool as far as men’s swim wear. They aren’t your basic tropical pattern nor your favorite beer label.